British in EU can Lose access to Banks at Brexit without Agreement. Britons living in the European Union may lose access to their bank accounts if no Brexit agreement is reached. 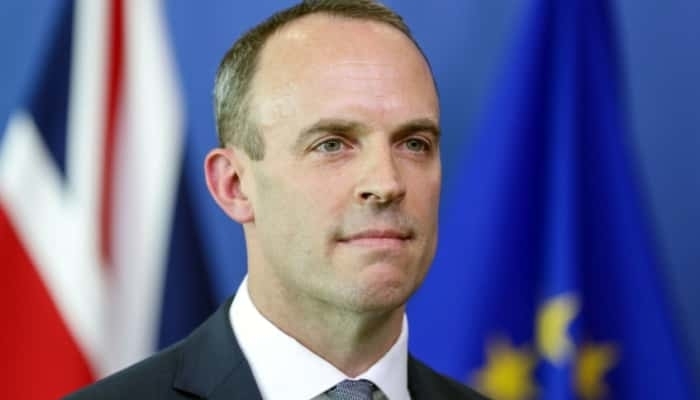 That stated the British Brexit minister Dominic Raab on Thursday with the publication of a series of documents that the British should plan for a no-deal scenario. Raab gave a press conference to explain the publication. buying European items according to Raab will also slow down and become more expensive. It is due to the end of the free movement of goods between the UK and the EU. British banks will also lose access to the European payment system, making card payments when buying European products more expensive for the British and vice versa. The Brexit minister remained optimistic about reaching an agreement. I still have confidence in a successful outcome of the negotiations. the British must also take into account the introduction of import tariffs on British goods when no agreement is reached. Raab at the press conference waived “wild claims” about a possible lack of medicines and food after a no deal Brexit. but discussions have been delayed for some time. Stumbling blocks remain the Northern Irish border issue and the future relationship with the EU. On 17 and 18 October, there will be another EU summit, where the Brexit will be discussed. This date is seen as a soft deadline for a deal so that both parties still have sufficient time to execute parts of the agreement.